Well, it currently is but that may be changing. A petition to change the date from October 31st to the last Saturday of October is currently in circulation. The petition creator, Aneisha McMillan, says she wants the change of date because it’s “Safer, Longer, [and] Stress-Free”. She also says, “51% Of Millennials say Halloween is their favorite holiday, why cram it into 2 rushed evening weekday hours when it deserves a full day!? !” This is the only point she made that has any relevance to the date change. Let’s be real though. Teenagers don’t trick-or-treat when the sun is out. It’s a night time holiday. Why do you need an entire day to walk around neighborhoods you probably don’t even live in and ask people for candy? The petition is getting about 5,000 signatures a day. At the time of this article it has gotten 38,000+ signatures of the 50,000 goal. If it gets 100,000 signatures it has enough weight to get a response from the White house. If it were any other person in that Oval Office I would laugh at this petition and move on, but seeing as our current President is an idiot I’m a little worried. I guess we will see what happens. But I’m hoping this petition already got its 15 minutes of fame and will be ignored for the rest of time. 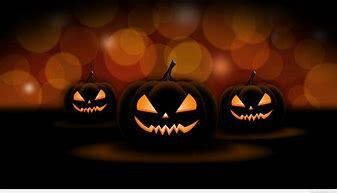 What do you think about changing the date of Halloween? Are you for or against it?